Data from 5 nm Astrodon H-a nad SII filters and a 3 nm OIII filter were color mapped to green, red and blue, respectively (Hubble color palette). 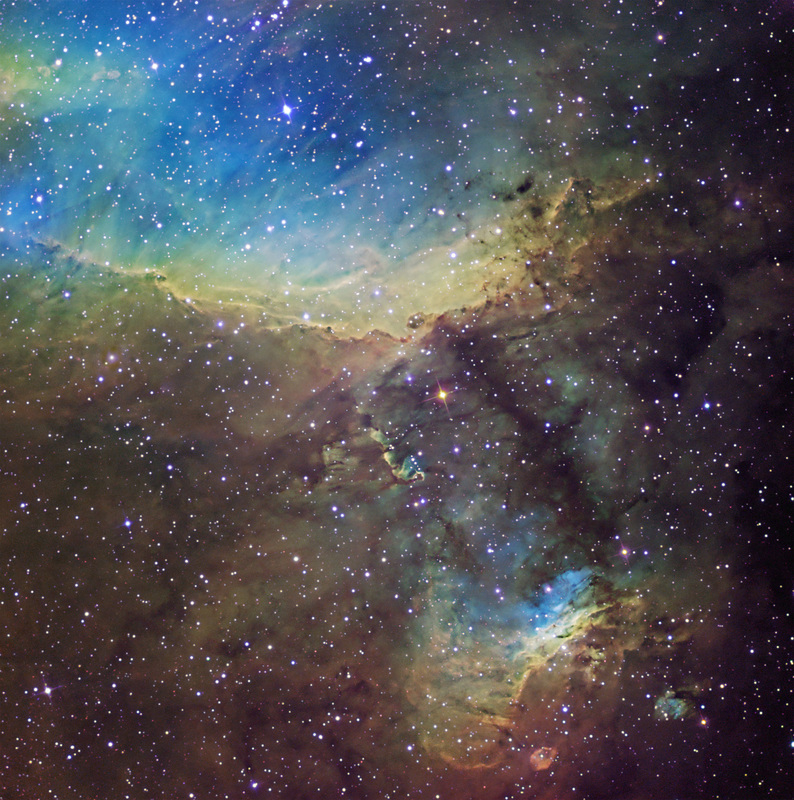 RGB data from Astrodon Generation 2 filters were blended in for star colors. The field is ~ 40′ wide. North is toward the lower right.